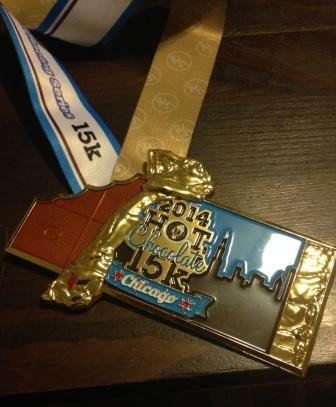 Last year around this time, I signed up for the Soldier Field 10 miler race that was taking place in May 2014. At the time, I knew I had plenty of time to get in shape and I knew this would be a good challenge and get me back to running. And then I did nothing. I bought some shoes and that was about it. Around February of this year I got an email asking if I wanted some help in training for this 10 mile race. Boy did I ever! So I signed up with a running training group and it was the best decision ever. Not only did I run that 10 miler, I ran a half marathon this summer and next week starts our winter training program that will end with a half marathon in Austin. I also met some awesome people. Awesome people who I could run with outside the training group. And awesome people that would run 15k with me when none of us had done any running at all in the last two months. But we did it! We did our 4/2 intervals for the whole 9.3 miles of the race. We weren’t fast, but we ran the whole thing. And none of us died or had appendages fall off. We did it! I am so proud of us! It’s such an amazing feeling to see how far we’ve come. 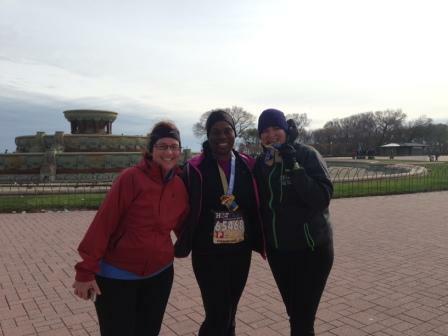 In March, we struggled on the first group run, which was 3 miles. 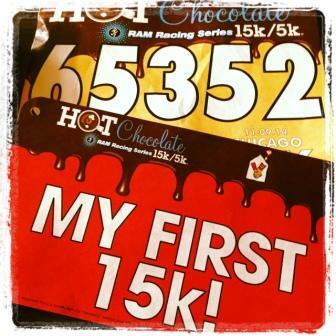 On Sunday, we hammered out 15k without having really trained. It’s amazing what we can do! I’m now really looking forward to this winter training to push myself some more, and hopefully have a way better time in a half than I did in August. 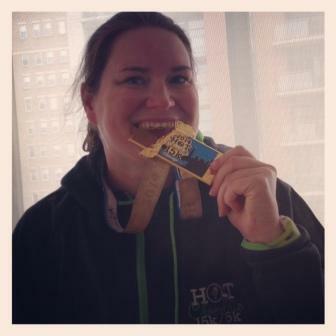 Plus, I really only did it for the medal, which you have to admit is kind of amazing. The chocolate fondue at the end of the race wasn’t half bad either. 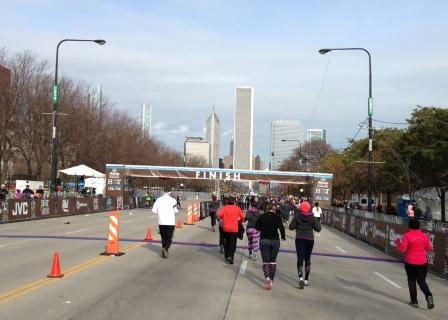 I ran a 15k today, what did you do? I want to actually write about it because it was kind of a feat of physical and mental toughness, but I’m so tired from having to get up before 5 AM that I need to get to bed. So I’ll fill you all in tomorrow when I can move from this spot without wincing. 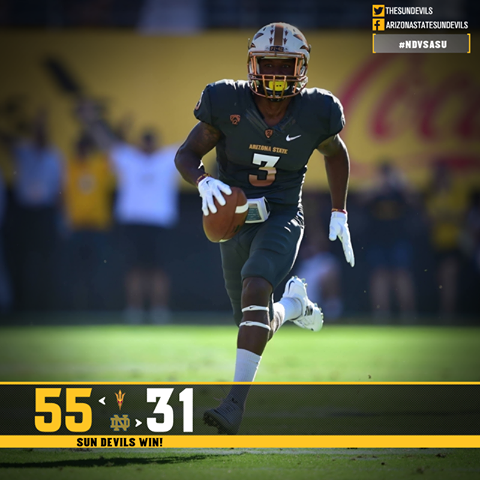 Feels awesome to be a Sun Devil today! Even after they almost gave me a heart attack.